You’ve got a great idea you just know will improve the business. How do you get your boss excited? Okay, let’s be real, not just excited, but as excited as you are? Your boss has a lot going on. How do you make your great idea stand out? It starts here. 1. Rock your day job. 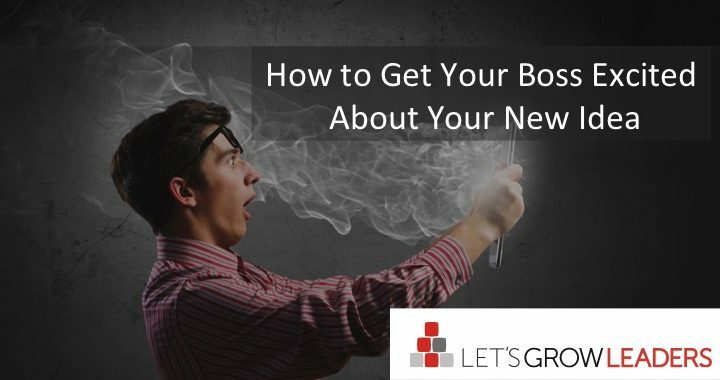 If you want your boss to take your new ideas seriously, be sure you’re delivering well on the fundamentals. 2. Align your idea with strategic priorities. One of our clients has a fantastic formalized system to encourage employees to share ideas. There is no shortage of opportunities for people to speak up and share their great ideas. In fact, there are so many ideas competing for attention, there are many good ones that just get lost in the sauce. Do you know which ideas get noticed and immediately implemented? The ones aligned with the company’s MIT (Most Important Thing) strategic priorities. If you want to get your boss excited about your great idea, be sure she thinks it will excite her boss. Your boss will hear ideas that will make your job easier, but the best ideas have a bigger impact. Any manager who’s been around the block a few times can smell an empire-building stunt or a slick move that makes your job easier (while leaving your peers to pick up the slack). This will reduce customer wait time by five minutes. This will increase cross-functional collaboration and enable us to more quickly identify best practices. This IT enhancement will eliminate 13% of compliance-related human error. 4. Show the immediate win. Sure, the 5-year impact will interest your boss, but they’re likely to get even more excited if you can show a proof-of-concept right away. Consider a pilot to showcase an immediate impact and then do the math of how that impact would scale. 5. Articulate the risks and expected challenges. If you want your boss to take your idea seriously, spend at least as much time thinking about why your idea might not work as how it will. 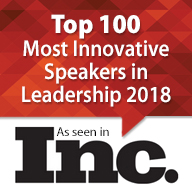 One of our favorite techniques is to ask trusted advisors, “Tell me honestly, why do you think this idea might not work?” Then address each of these challenges head-on, as you’re making your pitch. Explain how you’re working to prevent the issue or reduce the risk. 6. Have a solid execution strategy. 7. Share your role in making this happen. If you’ve got a great idea, don’t just bring a plan. Be willing to put skin in the game to ensure it will happen. Assuming you’ve taken care of #1, saying “Here’s exactly what needs to happen, and here’s how I see my role and what I can do to help” is a great way to get your boss excited. Posted in Career & Learning, courageous cultures and tagged career, managing up, micro-innovation. 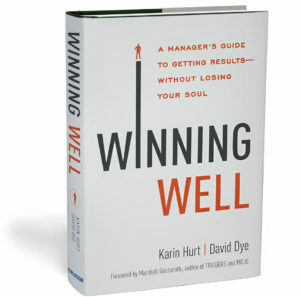 Karin Hurt and David Dye help leaders achieve breakthrough results without losing their soul. 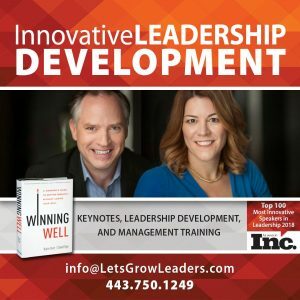 They are keynote leadership speakers, trainers, and the award-winning authors of Winning Well: A Manager’s Guide to Getting Results Without Losing Your Soul. 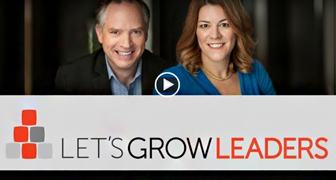 Karin is a top leadership consultant and CEO of Let’s Grow Leaders. A former Verizon Wireless executive, she was named to Inc. Magazine’s list of great leadership speakers. David Dye is a former executive, elected official, and president of Let's Grow Leaders, their leadership training and consulting firm.